So, outside your house there is a junk car sitting on your lawn. It is taking up space and looks horrible. It can’t be driven anywhere, as it has reached a level of disrepair that it can’t come back from. You may think it is worthless, but it isn’t. You can get good cash for it! Part the car out: If you can do this, you stand to get the best cash. Of course, the make and model of the car will be important as to how much cash this is. It also depends on the condition of the car as to how many parts are re-usable. Sell to an auto wrecking company: This option is a lot simpler and takes less effort. The Scrap Auto Wreckers will be the ones parting the car out, they just need to buy it off you first. Again, you can get good money out of this. If your vehicle is in great condition it can get thousands. You may be surprised to see that the best option is to sell to an auto wrecking company. The reason being that the auto wreckers are professionals. They have a whole lot of space to work in. They run huge salvage yards where they work on dismantling cars and storing the parts. If you just have a small garage and driveway, chances are you don’t have the required room in order to pull it off. Then there is the fact that the auto wrecking company has knowledgeable experts who know what they are doing. If you are also like that, parting a car out may be right up your alley. However, most people aren’t experts in this field. Add to that the fact that you need a sizeable collection of tools and equipment to carry this mission out with. You will most likely not have the correct tools. Most people don’t. If you do have the right tools, along with the expertise and space, go for it. But for all the others that don’t, you next best bet is to sell your car to someone who does have all these things. You still stand to get a good amount of cash out of the transaction. Call up for a Quote: There are a lot of car wrecking companies in most areas. This creates a healthy competition, making it quite lucrative for people selling the cars in the first place. Wreckers Come Over: Someone will come over and inspect the car in person. Then a final offer will be given, after which if you accept you get paid. Free removal: The Company will then remove your vehicle free of charge. Some companies don’t do this, so it is best to look at their website to make sure you choose the correct one. King Auto is Auckland’s number one car wreckers. 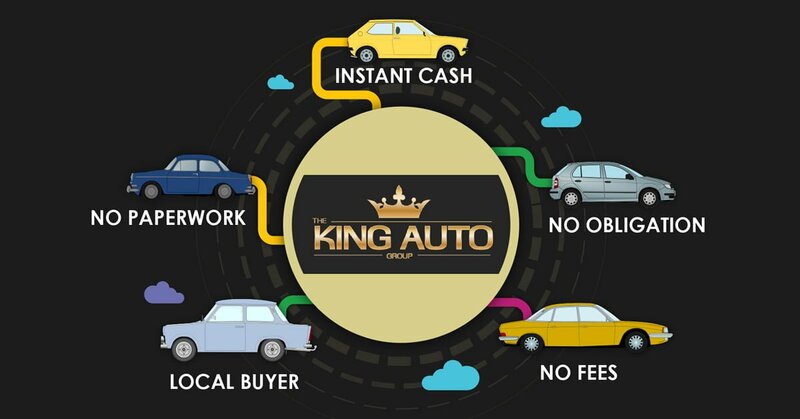 Find out the 10 reasons why you should sell your car to King Auto and enjoy the whole auto trading process. You have noted very interesting details ! ps decent site. “‘We’re always lucky,’ I said and like a fool I did not knock on wood.” by Ernest Hemingway. I am just writing to make you understand of the extraordinary experience our child undergone studying yuor web blog. She came to find many issues, which include what it’s like to have a very effective helping heart to make many others quite simply know precisely a variety of tricky subject matter. You actually exceeded people’s expectations. I appreciate you for imparting the invaluable, trustworthy, informative and in addition easy tips about this topic to Evelyn.